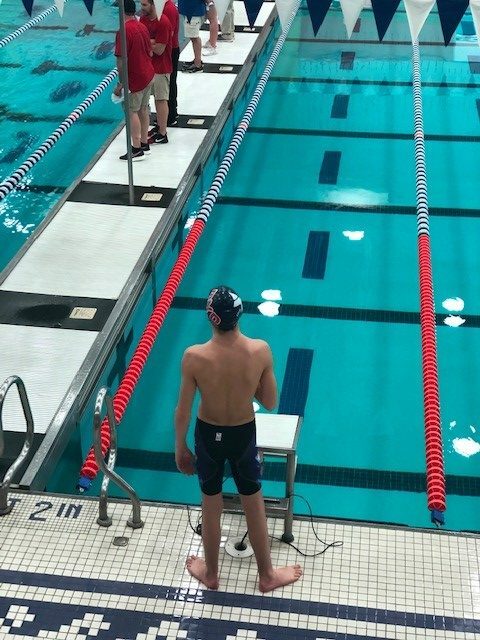 Wilmington, DE- Swimmers on YMCA competitive swim teams took home top honors at the YMCA East Field District Championship held March 15-17 at the Prince George Sports & Learning Complex in Landover, Maryland. The Sussex Tsunami Swim Team won the District Championship in the Small Division for the first time since 2014 while the Western Family YMCA’s Western Wahoos won the overall District Championship for the seventh year in a row in the Large Division. The Wahoos also broke four Championship Meet records, one of which dated back 35 years! 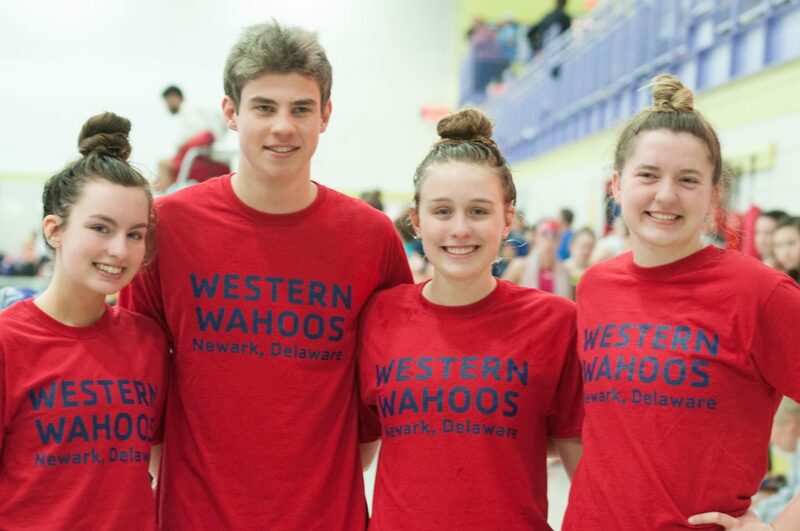 “This was one of our programs best seasons ever and the support from our families and branch staff was instrumental,” said Western YMCA Competitive Swim Director Tom Janton. 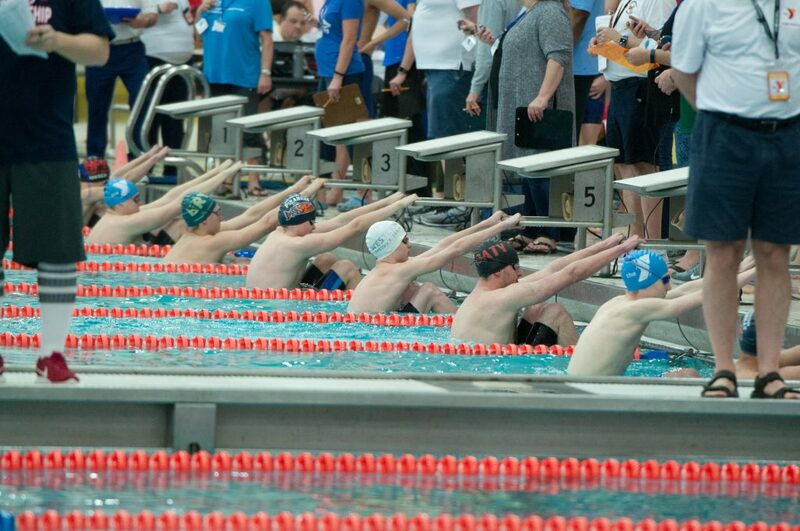 “The dedication from the swimmers and coaching staff is what makes YMCA swimming unlike any other in the area and the support from all swimmers, coaches, and families across the YMCA of Delaware allow our core values to shine bright,” he said. The Y’s core values for swimmers include, among other things, developing healthy living and social responsibility, working towards and achieving personal and group goals while empowering youth to discover who they are and what they can achieve, and that competitive swimming can and should be FUN! “My daughter Megan loves swimming and enjoys going to practice each day at the Y. The Brandywine Barracuda coaching staff, teammates and families foster an inclusive environment that reflects a sense of belonging, achievement, and closeness for everyone on the team. We love it!” said Barracuda team parent Sara Price. 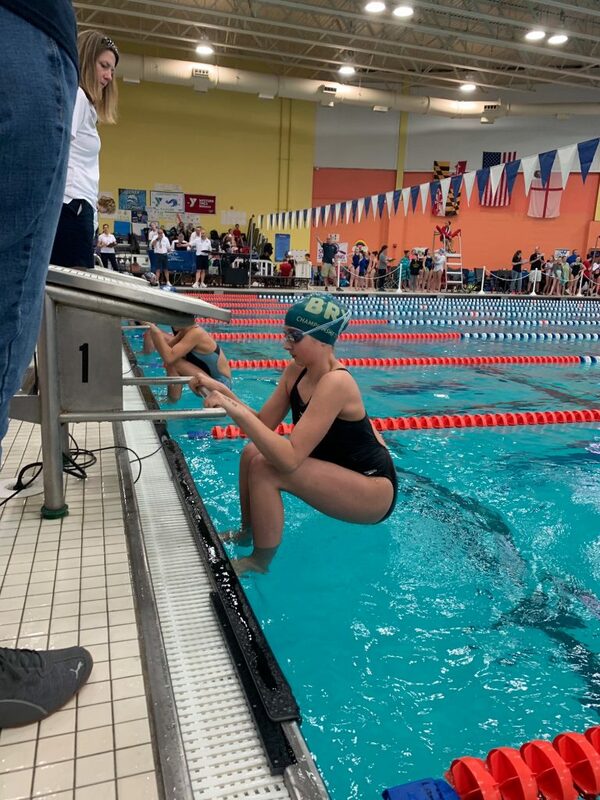 Parents from the Brandywine YMCA Swim Team took the lead to host the Championship Swim Meet for the third year in a row. 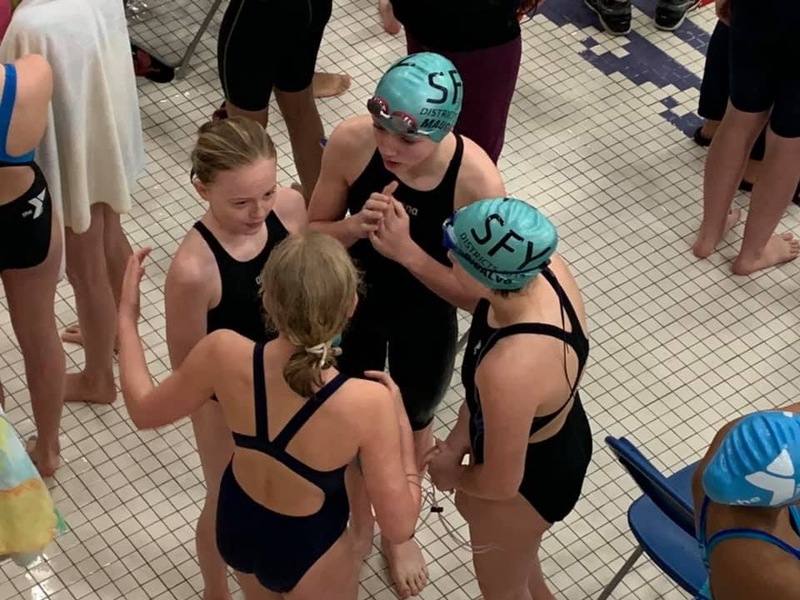 Swimmers at the 2019 East Field YMCA District Championship Meet prepare to start their 100-Yard Backstroke Event. 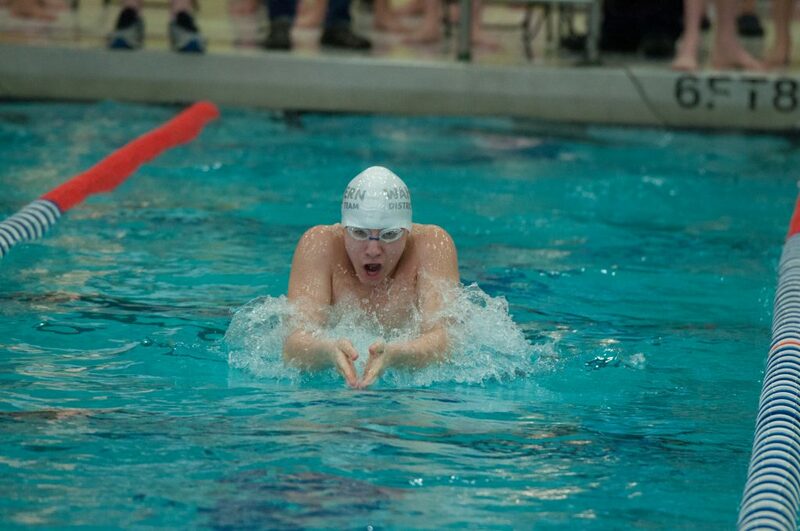 Western Swimmer Tyler Suchyi swims the last 50-yards of his 100-Yard Breaststroke Event. High Seniors from the Western Wahoos celebrate swimming at the 2019 East Field YMCA District Championships in Landover, Maryland. From left to right Erica Bauernschmidt St.Marks High School; Nolan Clancy, Elkton High School; Hannah Thornton, Avon Grove Charter High School; Tori Blankenship, St. Marks High School. Brandywine Swimmer Abby McFarland prepares to start her 50-Yard Backstroke Event.